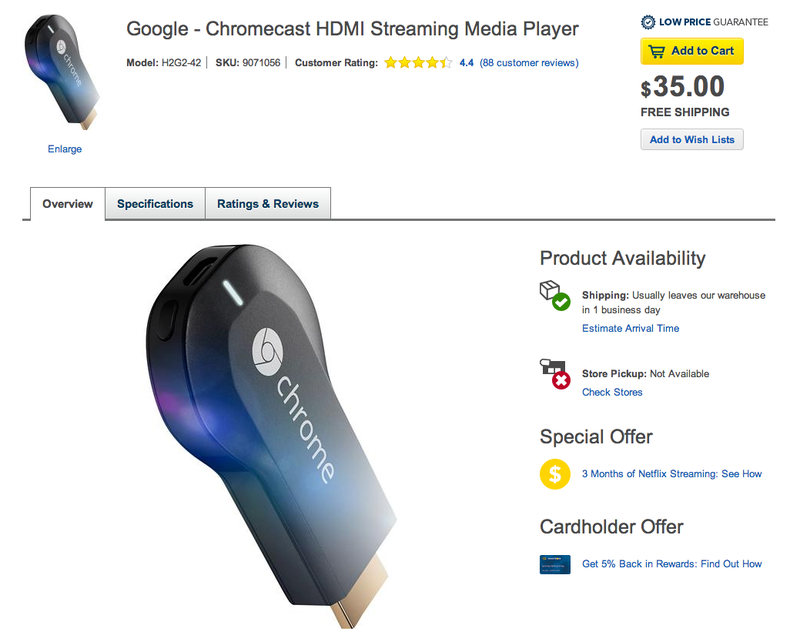 Google’s $35 Chromecast appears to be back in stock at BestBuy.com for the time being. Over the last 24 hours, we watched as it went in and out of stock, but for now, you can jump through the electronics retailer’s site and have one shipped within 1 business day. Store pick-up is not showing as an option for me; however, depending on your location you may see that change. Also, BestBuy appears to still be offering the 3-month free Netflix promo. Meanwhile, Google is still showing a ship day of September 3 through Google Play. Update: Annnnnnd, sold out again. Keep an eye on it though, as stock has been jumping around for a day or so.